There will be more in this series, which will be apparent as 2012 moves toward yet another year. 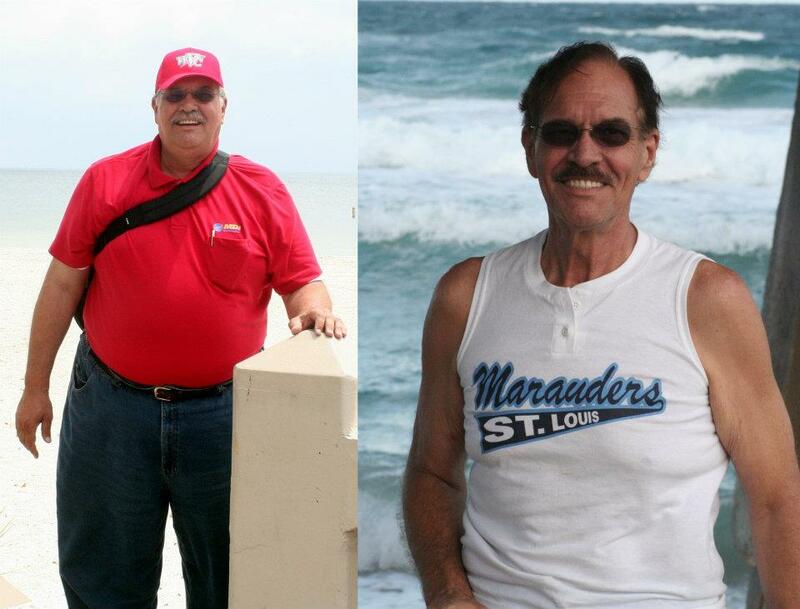 The journey has many stories, but one, of which I am second most fond, is losing 153 pounds. Yes, that is me on the left, taken in May of 2008 in Tampa, Florida. Cheryl and I lived in St. Louis at the time, and I was in complete denial about many things. One day my bride said something that totally awakened me to reality. That's what usually has to happen, because, despite my public persona, I am just an average guy. Not super smart. Not overly handsome. Not overly ugly. Pretty smart, but I never think of myself as the smartest guy in the room. Big ego? Yes! But, I never told anyone, because I did not (at the time) really understand the true meaning of humble. On that day that started this trip to a healthy (and longer) life, my wife might as well have taken a dagger and stabbed me in the heart. But being an optimistic person, I said, "well, now what Doc?" The 'what' is that I decided to change. Everything. I had some unexpected help making that easier to accomplish; however, I knew that I could trust God to work things out. He did (and that's a whole different series that will be forthcoming when I talk about the most personal, intimate, powerful, worshipful encounter ever experienced by this "old Wyoming cowboy." For now, let me just say that in addition to the goal I set for weight loss, I also set some goals for what I would do after I reached the next starting line. For James Taylor, who commented on yesterday's post, let me just add that I promise to answer your question. Keep watching here for how I did it, and what some of those other goals are, one of which you are particpating in as you read this. But, if you can't wait, hit the email link over there on the side somewhere, and I'll give you the Cliff Notes summary immediately. For the real good stuff, please be patient. As Hercule Poirot would say - "All will be revealed." Want a hint about the plan that is to be revealed? 2012 will be the worst year of the rest of your life. OUR MOST POPULAR POST; please leave a comment below, or just use one of the other buttons you see down there. Doc's Rambles™ is protected by a Creative Commons Attribution-NonCommercial-NoDerivs 3.0. Picture Window theme. Theme images by compassandcamera. Powered by Blogger.